The Patriot is a speed 7 fairway driver designed for long straight and negative turn shots. This disc will hold a straight line with very little fade at the end of its flight. 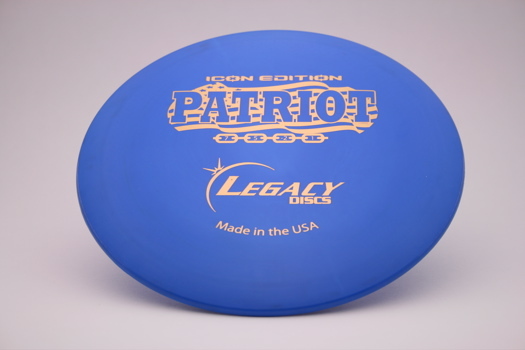 This Patriot is designed for all skill levels. This disc is available in Icon @ $15 and Pinnacle @ $14.